The fall of Hosni Mubarak could trigger an Egyptian gold boom as the government looks to carve up precious reserves in the Sinai desert which have remained untapped for decades. Officials have known about the potential for finding gold in Egypt’s mountain wilderness for years, yet a combination of security concerns and the complicated mining process have so far hampered serious progress. Egyptian mining chiefs now plan to invite investors to carry out gold exploration in the Sinai – an area which was once occupied by the Israelis during the 1970s and which has been plagued by security problems since the uprising which toppled Mr Mubarak. According to Dr Hassan Bakheit, the head of geological surveys in the Egyptian Mineral Resources Authority, the government wants to start receiving contract bids next year. Egypt is no stranger to the gold mining industry. As long ago as the third century BC, workers living under the realm of the Old Kingdom were unearthing the precious mineral from the volcanic rocks that line the country’s Red Sea coast. Yet since the 1950s there has been virtually no serious investment in the industry. 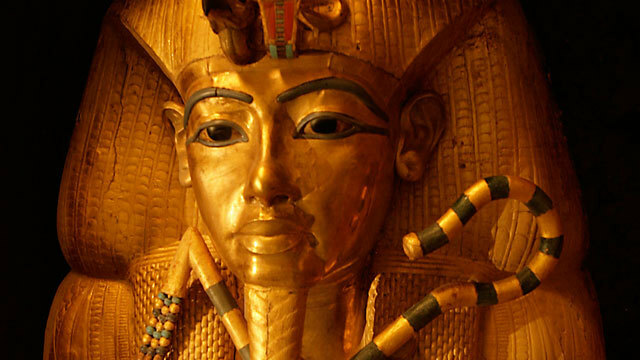 Only one company is currently producing Egyptian gold, the Australian firm Centamin, which is listed in London and Toronto and which started commercial production last year. With an estimated 6.7 million ounces of the metal lying under more than 100 possible mining sites around the country, analysts say the potential value of Egypt’s untapped reserves runs into billions of pounds – a literal gold mine in a nation which could sorely use the receipts of its own mineral wealth. Louise Collinge, a mining analyst for Evolution Securities, said there was “a lot of interest” about investing in Egypt. She said its location in the Arabian- Nubian Shield – a band of rocks that stretches down from north of Cairo as far as the Horn of Africa – meant it was ripe for gold prospecting. Centamin lost millions of dollars during the Egyptian uprising and saw its stock plummet by more than 25 per cent following the toppling of former President Hosni Mubarak in February. “The worst case scenario for potential investors is whether they will still own their assets at the end of events like those in Egypt,” said Ms Collinge. There are now six companies carrying out gold exploration at various locations along the Red Sea coast, though none have yet started producing commercially. According to Centamin’s chief executive, Harry Michael, one of the main reasons Egypt did not open up to investors until only relatively recently is because previous governments simply did not think the industry was viable. When company bosses tried to tell Mr Mubarak’s officials that they were sitting on a fortune, the response was incredulous. “They said, ‘you guys are crazy’,” claimed Mr Michael. Yet according to Dr Bakheit, the reason that the Sinai desert’s reserves have so far remained off-limits is more political than economical. 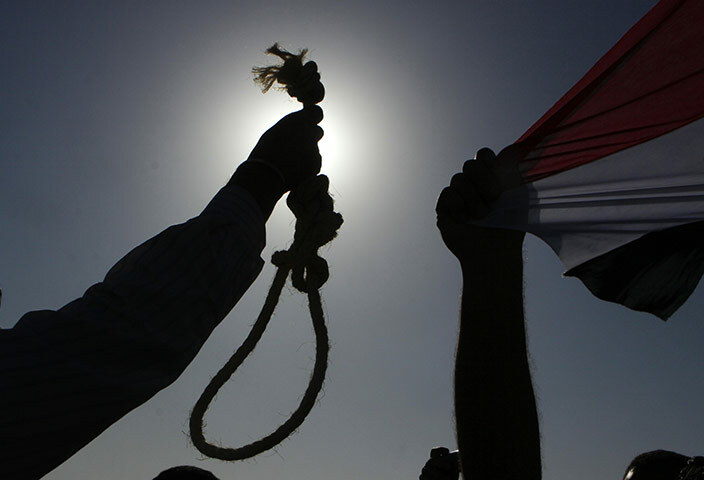 He blamed the hidden “agenda” of Hosni Mubarak’s relations with Israel, saying he believed the government had a deal with Tel Aviv under the 1979 peace treaty not to develop large scale mining operations in the area. 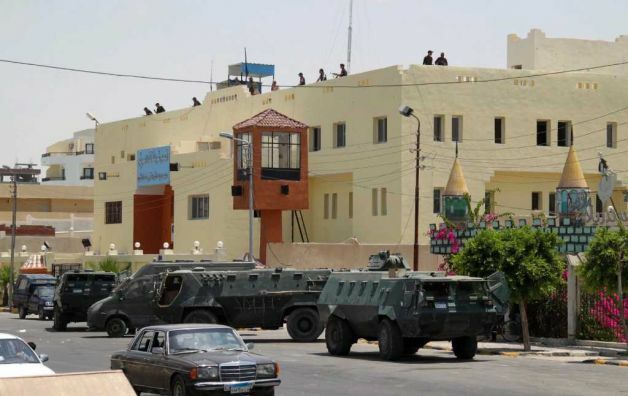 Nonetheless it is clear the precarious security situation in the Sinai has hamstrung economic development. Centamin’s Mr Michael said it had “definitely been an issue” when it came to the government failing to pursue mining projects in the region. And there are other political ramifications of a future gold boom in Egypt. Under Centamin’s deal with the government, it is obliged to pump half of its profits back into the state treasury. Given that geologists believe the nation’s gold reserves could be worth many billions of pounds, the next few years could be critical in determining how well Egypt’s first post-Mubarak government can exploit the nation’s substantial mineral resources. In a nation where 40 per cent of the population live on less than a dollar a day, a profitable gold mining industry – and the thousands of jobs needed to sustain it – could be a significant boon. Tour guide Zaki Sultan knows as well as anyone how much Egyptians rely on the steady flow of tourists streaming into their country. The 44-year-old, who scrapes a living from the tens of thousands of travelers who flock to see the Giza Pyramids each year, was hit hard by the tourism crash in the aftermath of the Egyptian uprising. Back then, when foreigners shunned the country after being fed a nightly diet of violent clashes on the evening news, the situation got so bad that cash-strapped tour guides could not even feed their animals. The grisly images of decomposing horses and camels lying just a short distance from the Pyramids became a terrible metaphor for a dying tourist industry. However, official statistics released last week suggest that for the millions of Egyptians who, like Zaki, rely on tourism to make a living, the future is not looking rosy. In the second quarter of the month there was a 35 percent drop in the numbers of foreigners visiting the country. The shortfall amounted to well over one million fewer tourists coming to Egypt compared to 2010—a development which has been blamed on the instability following the overthrow of former President Hosni Mubarak in March. In total last year, Egypt received around 15 million visitors—a figure which shows why tourism is one of the country’s biggest industries, worth around £7.3billion and employing approximately 12 percent of the nation’s workforce. All of which makes the latest figures so worrying, particularly given how Egypt’s tourist minister predicted in June that by September the flow of foreigners arriving in the country would be back up to pre-revolution levels. Judging by the most recent statistics, he should probably sack his number crunchers. And it’s all very well blaming the Egyptian uprising for the recent tourist turmoil. But how long will it continue for? Right after the fall of Mubarak, there were numerous flare-ups which might have deterred even the most adventurous of travelers. After all, who wants to take happy snaps of the Sphinx when protesters are bleeding to death in the street nearby? Yet there will be more problems. Parliamentary elections are due to be held in November, followed by a presidential poll next year. In between and afterwards there will inevitably be further bloodshed. With the Luxor travel agent brochures gathering dust as a result, Egypt’s tourist industry will continue to flounder. 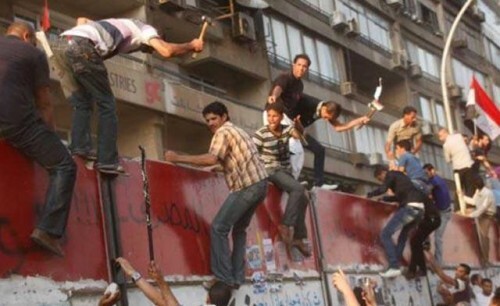 When Vodafone executives unveiled their latest Egyptian ad campaign, it should have been a cause for celebration. The Muslim holy month of Ramadan is a goldmine for advertisers, with families glued to endless TV soap operas as they fast throughout the day. But not for the first time since Egypt’s 25 January uprising, the global telecoms giant seems to have put its foot in it. The campaign has faced a vicious backlash, with many Egyptians taking to the internet in a bid to vent their fury. The so-called “Thank you” campaign, which was launched across television and the internet in time for the August month of Ramadan, included a gimmick whereby Egyptians were encouraged to send thank you messages to friends and relatives on Twitter, using the hashtag #vodafoneshokran – “thank you Vodafone”. It must have seemed like a great idea on the drawing board. But with many people still angry about Vodafone’s conduct during the revolution – when along with other mobile phone companies, it agreed to shut down networks on the orders of the president – some Egyptians have hijacked the campaign, tweeting sneering messages poking fun at the company under the pretext of thanking it. The backlash is doubly embarrassing for Vodafone as it follows a similar wave of outrage in June, when Egyptians took umbrageat at an advert created by the company’s marketing agency, JWT, which appeared to take credit for the revolution. Egyptian blogger Ramy Raoof said people were still angry with Vodafone because of the way it was perceived to have exploited the revolution. “We all know that if they wanted to support the people they wouldn’t have shut off the phones,” he said, adding that the company’s actions had endangered protesters’ lives. 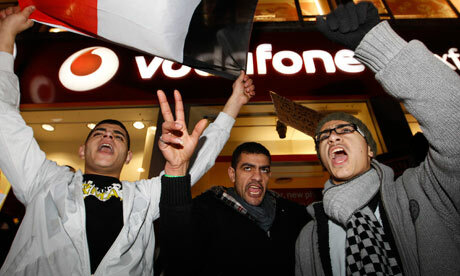 A spokeswoman for Vodafone Egypt said the backlash against the company was “not an issue of our popularity”. 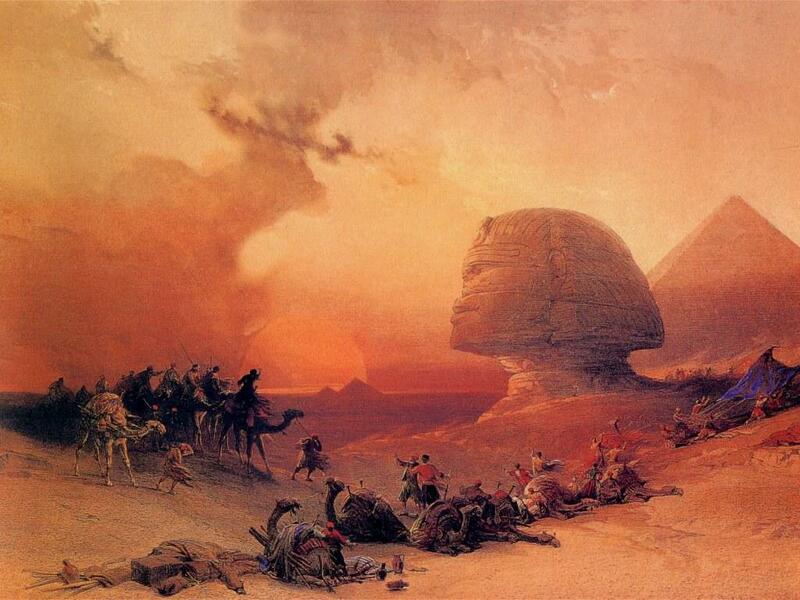 She emphasised that during the uprising it “had no option but to comply” with the Egyptian government. If history is written by the winners, then Zaki Sultan won’t be sharpening his pencil any time soon. In February, when the Egyptian uprising was in full swing, he was one of the pro-Mubarak supporters who charged his camel into Tahrir Square to try to turf out pro-democracy activists. He failed. Yesterday, Zaki remained staunch in his support for his former leader. It was sad, he said, that the former leader was on trial. Many others who watched yesterday’s unprecedented court appearance disagreed. Standing outside the police academy in eastern Cairo where the trial was being held, Ali Abu Sria said he was pleased to see the former president in the dock. It was a historical allusion appreciated by other Egyptians who recognised just how startling was the sight of a caged Hosni Mubarak being tried in a civilian court after a home-grown uprising. Yet there was still a degree of sympathy for a former war hero and long-term leader who yesterday was reduced to denying criminal charges from a hospital bed. Walid Khalid owns a stationery shop not far from Tahrir Square, which yesterday was guarded by a ring of riot police and some armoured personnel carriers. As he used the photocopier in his cupboard-sized shop, he said that a measure of lenience was required for the aging ex-autocrat. A taxi driver, who did not give his name, agreed. “Execution would be hard on him,” he said. But not everybody was gripped by the courtroom drama. In his shop opposite a government ministry, a shopkeeper called Mahmoud had the trial showing on a fuzzy little television on top of the soft drinks fridge. What did he think of the landmark trial? “I’ve been sleeping,” he replied with a broad grin.